Blake’s 7 | The Daily P.O.P. Doctor Who is remarkable for its success in its home country and overseas. As much as I enjoy Who, it is truly criminal that Blake’s 7 is not more widely popular. A cult series that ran for four seasons with a definite ending, Blake’s 7 is, just as the opening credits sequence shows when a symbol very similar to the United Federation of Planets from Star Trek, is the opposite of traditional raygun sci-fi. This is reactionary, angry, cynical and bloody. 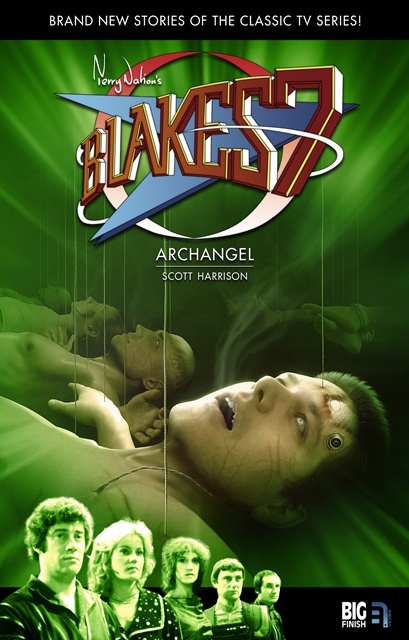 Developed by Dalek co-creator Terry Nation, Blake’s 7 is anti-establishment action-adventure following the exploits of a small group of rebels hellbent on freeing the human race from the control of the crooked Federation. Unusually, the lead hero Blake exited the program after the second season. Thought dead, the most unlikely successor Avon takes the reigns of the fight against the system of power. Hardly a heroic type, Avon is a sociopathic genius with marginal morals. Joining Avon is the cowardly thief Villa, the psychic terrorist Cally, the straight-laced ace pilot Del Tarrant and the weapon expert Dana. Blake’s 7 was incredibly successful during its time and garnered strong support as a sophisticated sci-fi series. Thankfully, the folks at Big Finish who have reunited much of the cast to revisit this exciting program in a new series of stories set within the existing canon. Whereas most of the Big Finish Blake’s 7 audios are short stories, The Armageddon is a larger scale story split across three parts. Avon and his crew meet a fellow freedom fighter Del Grant who has information leading to a wild chase deep within the Federation’s most high security prison and a hostile world at war. The ultimate goal is to find a doomsday weapon called the Armageddon Storm. But there is more at stake. Del Grant is the brother of Avon’s great love, Anna. There is friction between the two regarding Anna’s relationship and fate due to Avon’s crooked life. A sharply-written yarn with plenty of humor (courtesy of the amazing Michael Keating) and drama, this story fits so perfectly within the world of Blake’s 7, that when I closed my eyes I could easily imagine a televised version. In addition to a superb script and top notch cast, the ‘aural landscape’ is similarly impressive. I was especially surprised by the soundtrack which is lovingly evocative of Dudley Simpson’s work. If you are a fan of Blake’s 7 and have fond memories of the series, do yourself a favor and buy a copy, pour yourself a glass of wine and sit back for a very special treat. And if you are unfamiliar… start watching the old episodes (before they are pulled down). Order Blake’s 7 – The Armageddon Storm from Big Finish here. 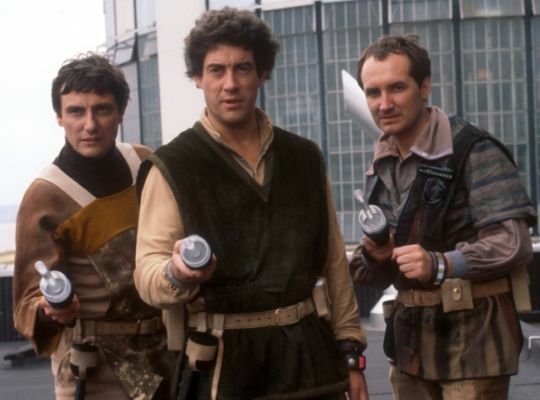 Back in the day, Blake’s 7 was a cult hit TV series in the UK that enjoyed a very select following in the US due to limited screening overseas and even more limited release of VHS sets. The program was repackaged in four deluxe sets, which are sadly unavailable to any American fans. 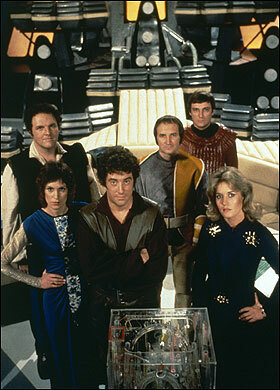 Blake’s 7 was created by Terry Nation as a kind of ‘Dirty Dozen in space’ and featured a small band of rebels fighting against the establishment (known as the Federation). The budget was limited, but the scripts were mainly impressive and those who had viewed Blake’s 7 during its hey day regard it as one of the finest science fiction programs to come out of the BBC. Since before the return of Doctor Who, plans have been underway to bring Blake’s 7 back, at one point with Nation and actor Paul Darrow uniting to produce a special program picking up the story from the 1981 finale. There have been many iterations of Blake’s 7 in audio format and in print, but it sounds like it is finally coming back to the small screen at last. Cult classic sci-fi series Blake’s 7 is to be remade for the Syfy network, it has been announced. FremantleMedia International said 13 hour-long episodes will be written by Heroes writer Joe Pokaski. It added, in a statement, that Casino Royale and Goldeneye director Martin Campbell was also on board. The original series, which ran on the BBC between 1978 and 1981, followed the exploits of a group of renegades and convicted criminals. Roj Blake, played by Welsh actor Gareth Thomas, was a political dissident arrested, tried and convicted on false charges by a brutal totalitarian government, and then deported from Earth to a prison planet. Stealing a spaceship, Blake and his team conducted a campaign against the ruling Terran Federation. At its peak, the series was watched by 10 million viewers and was sold to 40 countries. A range of Blake’s 7 merchandise including books, magazines, annuals and toys were also released. A radio adaptation, featuring This Life’s Daniela Nardini as villain Servalan, was made in 2006. According to FremantleMedia, the new series will be set in 2136 and will “tell the story of seven criminals – six guilty and one innocent – on their way to life on a prison colony in space, who together wrestle freedom from imprisonment”. It continued: “They acquire an alien ship which gives them a second chance at life and become the most unlikely heroes of their time”. The latest announcement is not the first time a remake of Blake’s 7 has been attempted. In 2003, a miniseries was shelved after actor Paul Darrow – who played Kerr Avon in the original show – left the project. Later in 2008, Sky One announced it had commissioned two 60-minute scripts for a potential series but two years later said it had decided not to proceed. If you live in the US, Blake’s 7 is the most amazing cult sci-fi program that may have slipped you by. Due to limited transmission on PBS stations and a lack of a distribution deal for the DVDs in this region, there are many potential fans who have missed out on this outstanding series. In the late 1970’s, Dalek creator Terry Nation crafted a new kind of science fiction adventure in which the heroes were a small band a terrorists fighting against the Federation aboard an alien spacecraft called the Liberator. Starring Gareth Thomas, Michael Keating, Paul Darrow, Jan Chappell, Sally Knyvette, and Jacqueline Pearce, the series won critical acclaim on the BBC and attracted an older audience than Doctor Who. A ‘Dirty Dozen in Space’ concept program, Blake’s 7 heavily influenced Joss Whedon’s Firefly, a comparison that star Paul Darrow noted with some pride. Unlike Star Trek, Blake’s 7 offered a more cynical view of the science fiction opera in which drugs were used to subdue the general public, freedom fighters were tortured and had their entire lives rewritten and the truth always kept at bay. A small group of 7 dared to free all Earth people from the Federations’ control. Gareth Thomas led his team with the zeal of a religious fanatic through two years’ worth of challenges only to lose it all in the midst of an intergalactic war that he unwittingly allowed to happen. In the wake of that disaster, sociopath/genius Kerr Avon unlikely leader of the remaining crew and continued the fight in Blake’s name. Leading the opposition was the conniving and sultry Servalan. With a legion of mutated creatures and a bloodthursty killer Travis at her fingertips, the odds were stacked in her favor. Yet she savored every victory with the passion of a cat playing with her meal. All of that excitement has been revived in these new full cast audio adventures from Big Finish, and it just got bigger and better. The Armageddon Storm is a huge story told across three discs, and reveals what happened during the unseen-on-TV Galactic War. It stars Paul Darrow (Avon), Michael Keating (Vila) and Jan Chappell (Cally), returning to the roles they made famous on TV, and they’re joined this time by the also-returning Tom Chadbon as Del Grant, a character who first appeared in the 1979 Blake’s 7 episode Countdown. 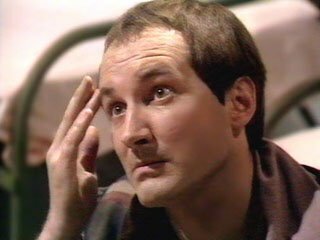 Listeners may also remember him as Duggan in much-loved TV Doctor Who tale City of Death, alongside Tom Baker’s Fourth Doctor. Written by Cavan Scott and Mark Wright and directed by Ken Bentley, Blake’s 7 – The Liberator Chronicles: Volume 3 is available to download now, and CD box sets will be mailed out today. Also available now is our highly-praised full cast Blake’s 7 audio drama Warship, reuniting the entire original cast, and its accompanying ebook. Blake’s 7 was created by Terry Nation (who also created the Daleks for Doctor Who) and ran for four years on BBC TV. It focused on a team of resistance fighters aboard their advanced ship the Liberator, who battle the corrupt forces of the Federation. The Liberator Chronicles: Volume 3 is part of a series of audiobooks that is being released in a licence deal with B7 Media. Also available, is Warship by Peter Anghelides. Blake’s 7 revised, revisited and revamped? With Terry Nation’s most famous creations, the Daleks, returning to TV in Doctor Who next weekend, Syfy have chosen just the right moment to announce that they’re developing a US revamp of the writer’s fondly-remembered sci-fi drama Blake’s 7. The gritty BBC1 show, which Nation described as “the Dirty Dozen in space”, ran for four series in Britain from 1978-1981. It chronicled the adventures of Roj Blake, a political dissident who escaped from an intergalactic prison, stole an abandoned space ship and lead a posse of ragamuffins on a mission across the galaxy. Despite its pitiful budget and sub-Pertwee era Doctor Who special effects, the show was hugely popular in its day and famously signed off with one of the most depressing finales in TV history. Blake and the rest of the show’s characters were gunned down on camera. Plans are now afoot to re-launch the show in the States, and Syfy have drafted in Casino Royale director Martin Campbell to oversee a pilot episode of the show based on script by Heroes screenwriter Joe Pokaski, which, if the network likes what it sees, will lead to a full 13-episode series. Fans of the original are predictably up in arms about the re-boot, worrying about what sort of job Syfy might do with the show. One the one hand, it might be an insult to the show’s memory, like the 2009 remake of The Prisoner was to its source material, but on the other it may prove to be a similar success to Battlestar Galactica, another ‘70s sci-fi TV series which was re-imagined to great acclaim in 2004. Here’s a video refresher on Blake’s 7, for the non-readers out there. There are several iconic sci-fi TV programs ranging from anthology programs such as One Step Beyond, Way Out, Twilight Zone and the Outer Limits as well as adventure serials such as Star Trek, Doctor Who and of course Blake’s 7. ‘What’s Blake’s 7?’ I hear you ask. It’s only the most amazing and exciting TV sci fi series that you have never heard of. Set in a not too distant future where interstellar travel, ray guns and questionable fashions are the norm, Blake’s 7 split from the norm by presenting a universe ruled by a fascistic paranoid regime that controlled the population through fear, coercion and drugs. The only person bold enough to stand up to the Federation was Roj Blake, but he was betrayed, tried and publicly humiliated by having his mind wiped and placed on Earth as a drone. When he is approached by some members of the rebellion who want to revive the cause, he becomes witness to a bloodbath after the Federation guns down a peaceful assembly, leaving Blake the only survivor. Tried and found guilty (again) for crimes that have been invented and corroborated by force, Blake starts to go mad and is sent to a penal colony. En route, the prison ship encounters a living alien craft that is not only sentient but sensitive to Blake’s cause. With a very small band of malcontents, Blake starts his revolution anew, and the galaxy trembles. Blake’s 7 is so radical not only in the fact that the heroes are terrorists but also because Blake is sort of a loony. His intentions are so intense and important to him, that he often loses sight of all else and can cause more harm than good. When he appears to die in the midst of an intergalactic war that he caused, one of followers reluctantly takes over as leader, but Avon’s story is an altogether different situation. Big Finish have already released an excellent set of audio adventures set within the first two years of the series’ four year run, when Blake led the crew in a search for Star One, believed to be the heart of the Federation’s power base. This story is also set in that time period, but whereas the previous trilogy starred Gareth Thomas (Blake), Michael Keating (Villa) and Paul Darrow (Avon), this one will bring back far more fan favorites and promises to be a major event for fans of the series. The cast of Blake’s 7 is reunited in a new full cast adventure. 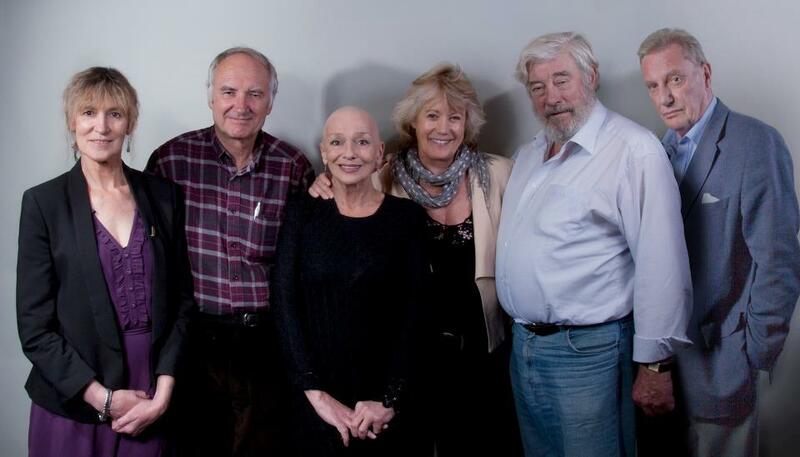 The original cast of Terry Nation’s acclaimed series Blake’s 7 are reuniting for a special audio episode, to be released in February 2013 (in a licence deal with B7 Media). 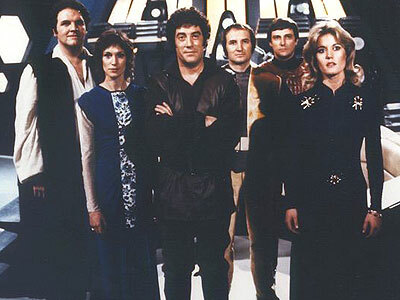 Warship stars Gareth Thomas as Roj Blake, Paul Darrow as Kerr Avon, Michael Keating as Vila Restal, Sally Knyvette as Jenna Stannis, Jan Chappell as Cally, Jacqueline Pearce as Servalan and Alistair Lock as Zen and Orac. The hour-long story will be released in February 2013 as a double disc set, with the second disc comprising interviews and behind the scenes material from the historic cast reunion at the recording session. It will retail for £12.99 on CD and £9.99 on download from bigfinish.com. A novelization of the episode will also be released in February 2013, in ebook form only. The book will retail at £4.99, and expand upon the cataclysmic events and key developments in the story. A series of enhanced audiobooks entitled Blake’s 7: The Liberator Chronicles and a range of original Blake’s 7 novels are also available from Big Finish. If you are unfamiliar with Blake’s 7, there are VHS sets available in the US market, but sadly the rights to the DVDs are not available and that situation may not change for some time. However, you can watch it streaming on youtube (somehow) and I cannot recommend it enough. The program was produced in the late 1970’s by the BBC and has production values far below Doctor Who at that time… so be kind. On the run from the Cassini pirates, Vila and Avon infiltrate an experimental Federation lab, posing as a brilliant scientist and an astonishing android. As Avon attempts to convince the assembled scientists that he is an impressive imitation of human life, he encounters a robotic creation named 14. Sculpted in the shape of a young girl, 14 has been coldly tortured and experimented upon. She cannot speak, but her eyes tell the tale of her torment and it ignites an intense rage in Avon, disgusted at the inhumanity of these scientists. The Turing Test is scripted by the astounding Simon Guerrier, fast becoming one of my favorite audio writers. It immediately captures the context and texture of the vintage 1979 TV series in the opening moments. 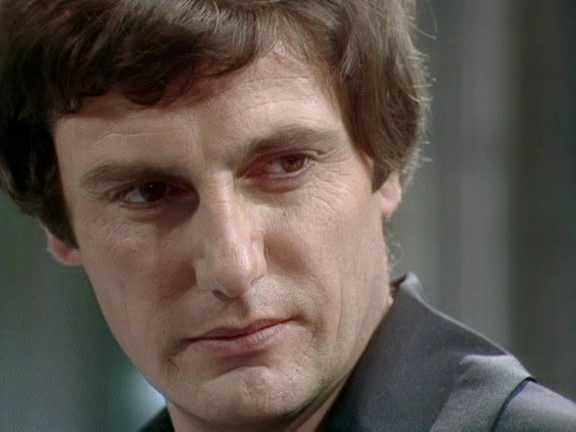 Paul Darrow, the true star of the B7 cast, purrs his lines beautifully (with only the occasional whistle from his teeth betraying his age). I was nervous about Darrow coming back to this character, but it’s like he’d never left. Vila and Avon are sent to the top secret base, they investigate the experiments being made there in artificial intelligence. Their mission is to infiltrate the coven of boffins and find a particular invention, but things get out of hand when Avon becomes personally involved. The interplay between Darrow and Keating is spot on and I was overjoyed that the majority of the adventure is a two-hander with the story split between the pair of them. as they are my favorite characters from the TV drama. Vila, the cowardly clown able to crack any lock, plays a barely passable scientific inventor, but the scientists are of course more interested in Avon, thinking that he is an almost human synthetic being. Faced with an actual synthetic creature, Avon plays up to the scientists, ‘We’re the same.’ It’s an act, but is it closer to the truth than even Avon would admit? Despite his cold exterior, does the outsider Avon truly yearn for companionship, for acceptance and safety that he can never have? It’s a crime that many of my fine readers have absolutely no idea what Blake’s 7 is or why anyone would want to promote it as the best thing ever. Created by Terry Nation after the success of the Daleks in Doctor Who and the Survivors on his own, he tackled a science fiction vision of the ‘Dirty Dozen in Space’ that pitted a rag-tag group of malcontents against a corrupt system of authority. The only reason that Blake’s 7 is not more well known in the United States is because it was barely shown on PBS. Even I only caught the pilot and most of the last series by accident. By the time I realized how great it was, it was gone and I had to wait for the advent of DVDs and my region free player to see the whole thing. The program featured model work, guest actors, music and even costumes that would be familiar to fans of Doctor Who because, well… they were from Doctor Who. It’s all good, though, because Federation guard helmets were used several times over in Doctor Who in the 1980’s. But looking at the surface details misses the point, which is that Blake’s 7 was groundbreaking. It was Star Trek in reverse. Even the logo is a variation of the Federation emblem tilted on its side. The Star Trek crew were interested in exploration of the human journey, Blake’s bunch hatched numerous cunning ploys against the system in a desperate maneuver to awaken the drug-addled citizens. In many cases, Blake and his followers escaped by the skin of their teeth, some didn’t even make it at all. Blake is a charismatic and driven man, determined to see his message of universal freedom screamed from every corner of the galaxy. The crew of the Liberator, a strange alien ship that had drifted from some other galaxy to ours in the aftermath of some cosmic battle, are not altruistic. They are criminals on the run, looking for weapons to use against their oppressors in their journey across the colonized worlds. They encounter science gone wrong, frustrated geniuses and angst-ridden barbarians (and Brian Blessed), but nothing like the glimpse of hope that lay in the science fiction dream that Gene Roddenberry produced. No, this was something entirely different. The Turing Test has the unenviable mission of re-invigorating interest in Blake’s 7 in a new way. Several attempts have been made before, from a Barry Letts-written radio drama to an audio series featuring an all-new cast (which is in itself rather good). There have also been rumors of a new updated modern version of Blake’s 7 that could come at any moment… but hasn’t. The Big Finish project, however, could be the most successful of the lot for its sheer simplicity. Rather than re-inventing Blake’s 7, it has inserted new adventures within the existing body of work. Enlisting Gareth Thomas as Blake, Michael Keating as Vila and the (many times) aforementioned Paul Darrow as Avon, grants the audios a kind of integrity and nostalgia value that makes them instant classics. Rather than trying to find what made Blake’s 7 work or re-interpret the ideas for a new audience, this is a return to the program as if it had never ended. I had not expected that for some reason, despite the high caliber of talent involved. Simon Geurrier’s The Turing Test references a procedure in which a machine is challenged to think as a human being. This is of course reflected in the many tests that Avon endures as the stand-in android, but a darker version of it is explored in the implied treatment of 14. In the end, the Liberator crew destroys the research on Quentil in a clever ploy to develop new androids. Vila insists that Avon must be satisfied by this punishment as, after all, Avon was after revenge for what had been done to 14. But Avon refuses to accept this. He was just being practical. ‘No good comes of being wide eyed and naive,’ he muses. He does, however, accept Vila’s statement that he and 14 were two of a kind, but whereas 14 was incapable of showing emotion, Avon had shut off that part of himself a long time ago… in order to survive. He’s a queer duck, that Avon. The Liberator Chronicles is the first of a new series of audio adventures exploring the iconic science fiction program. Blake’s 7: The Liberator Chronicles can be ordered directly from Big Finish and domestically in the US from Mike’s Comics. The biggest, most popular cult science fiction series after Doctor Who must be Blake’s 7. Created by the daddy of the Daleks, Terry Nation, it was kind of a ‘Dirty Dozen in space’ as sociopaths and crooks fought against a universal authority. The series ran for 4 amazing years (well, the 4th was a bit dodgy) and is still revered as one of the finest action sci-fi dramas around, yet it is still relatively unknown in the US. Numerous attempts to revive Blake’s 7 have met with varied results, but the efforts are commendable. The problem remains that fans want (the original) Blake, Avon and Villa back and that’s just not going to happen. Last month the first set of ‘Liberator Chronicles’ was released by Big Finish reuniting the popular original cast members. Now, a line of new novels continues that journey down memory lane. Two more series are in production. It’s a great time to fight authority in crushed velvet, 1978-style. 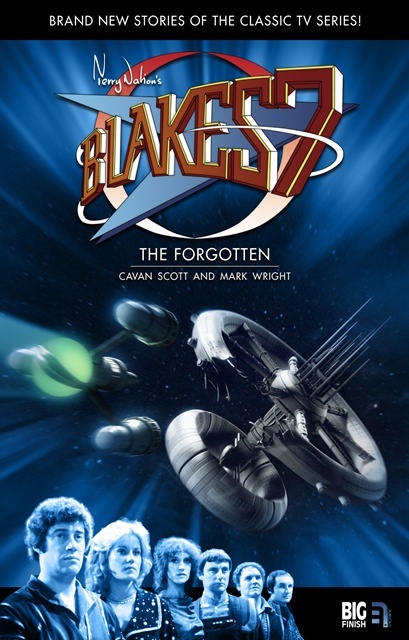 In addition to their well-received Liberator Chronicles, Big Finish has secured the rights for new novels based in the Blake’s 7 universe, with Mark Scott and Cavan Wright’s The Forgotten coming out in May, followed by Scott Harrison’s Archangel in November. The Forgotten is set between the TV episodes Mission to Destiny and Duel, and sees the Liberator pursued by Travis into an area of negative space, where an abandoned space station may not provide the chance of survival the crew need. The Forgotten can be pre-ordered here; and click here for Archangel. The second set of Liberator Chronicles will be released in August. Blake’s 7 liberated once more? After creating the Daleks for Doctor Who, Terry Nation crafted what could be the greatest TV science fiction series ever, Blake’s 7. Set in a future where a galactic Federation holds the population of Earth in a drug-induced stupor, the program followed the exploits of a revolutionary rebel group tearing down the system of control. Sadly, Blake’s 7 is all but unknown in the US due to the fact that it was rarely shown on TV and rights issues are still preventing a DVD release in our region. The program is somewhat dated and showcases several fashion disasters that often make it look like a second cousin to Doctor Who, but it remains a cult favorite and one of the best sci-fi TV programs I have ever seen. Since its 4 year run ended, there have been numerous attempts to revive the concept either as a continuation or as a complete do-over. Most recently Big Finish assembled a strong cast in retelling several of the iconic Blake’s 7 adventures via their audio series (highly recommended). Starring Derek Riddell as Blake and Colin Salmon as Kerr Avon, the series was very well done, modernized just enough to make it interesting and new without insulting the source material. There were plans to develop the program for TV which had many fans excited, but they all fell apart when SKY1 dropped the option. However, there is finally news that should excite fans of the rebellion as Big Finish has received clearance to produce entirely new stories starring Nation’s characters, this time starring the original cast. Big Finish Productions is thrilled to announce that it has signed a licence deal with B7 Enterprises to produce original audiobooks and novels based on Terry Nation’s popular science fiction series Blake’s 7. 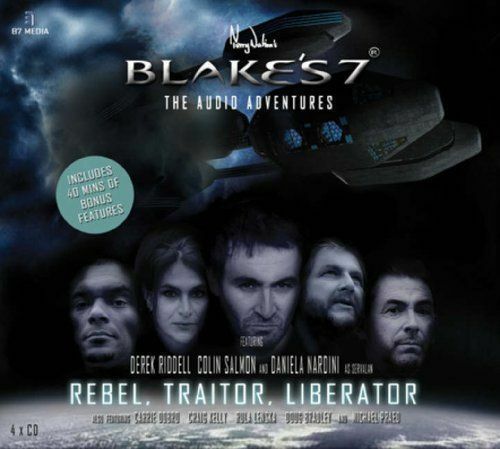 Blake’s 7: The Liberator Chronicles will be launching in Spring 2012 on CD and download, and will be performed by the original stars of the TV series. Each box set will contain three discs, with each disc comprising a separate adventure performed by two of the show’s stars. There will be two box set releases each year. The Blake’s 7 original novels will be released in hardback editions, each of approximately 60,000 words. There will be two novels per year – thus ensuring there’s a new Blake’s 7 release every three months! The audio series will be produced by David Richardson, while Xanna Eve Chown is books editor. Blake’s 7: The Liberator Chronicles launches in February 2012 and is available for pre-order at bigfinish.com. Blake’s 7: The Novels launch in May 2012 and are available for pre-order at bigfinish.com. A year-long subscription offer to the Blake’s 7 range is also available. From Blake’s 7, Orac is the most advanced computer ever developed. It is also one of those amazing BBC props that is actually a plastic box full of christmas tree lights. Irascible and egocentric, Orac decided what tasks were worthy of its time rather than taking on each request that was given to it. Capable of complex calculations and communicating/hacking various artificial intelligences and computer systems, there seemed to be little that Orac could not do… he just chose to ignore what it was told to do. More often than not, characters simply removed the control key and turned the thing off. This is a rare moment when Orac apparently lets his pent up emotions run wild. When creator of the Daleks Terry Nation’s Blake’s 7 ran on the BBC, it was an enormous success, achieving ratings that threatened its sole rival in TV sci-fi, Doctor Who. Utilizing many of the same talents from costume designers to actors and even writers, there was some overlap between the two competitive programs, but they were very much different creations. Whereas Doctor Who was fanciful, Blake’s 7 was political, dangerous and edgy. An adventure series depicting a small group of terrorists striking back at a corrupt Galactic Federation, Blake’s 7 found an audience that was more than happy to cheer for the outcast and rebel in the face of impossible odds. After four series, the program concluded with a still legendary finale in which the rebels were brutally gunned down by the Federation troops, surprising viewers and Nation himself who had moved on to other projects. Nevertheless, there was always the seed of an idea that the program could return with Blake’s protege and successor, the sly Kerr Avon, at the center of a new revolution. 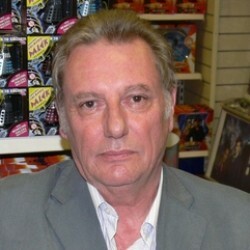 Nation passed away before the mini-series that he and actor Paul Darrow (a household name from his portrayal as the brilliant sociopath Avon), but the idea remained. With the successful revival of Doctor Who, B7 Productions started work on a massive re-imagining of Blake’s 7. Due to several factors, the program found difficulty getting off the ground, but a remarkable cast was assembled, excellent scripts drafted and the decision made to develop a series of audio dramas to drum up support for the new vision. Derek Ridell (Doctor Who – Tooth and Claw) plays Roj Blake, an engineer living a quiet life in the far future until one day his programming falls apart and he remembers who he really is and why he was conditioned to forget. A desperate attempt is made to contain and capture him with his nemesis Travis leading a commando raid on his apartment, but Blake has left a surprise for the soldiers who barely escape with their lives. Looking for help from an old colleague, Blake is instead betrayed to the Federation. Put on public trial on trumped up charges of sexual assault involving minors, Blake is shipped off to the penal colony of Cyngus Alpha. Before he is sentenced, Blake meets with Supreme Commander of the Federation, the cruel and devious Servalan who explains the need to thoroughly discredit the former leader of the rebellion that once threatened the stability of the entire Earth Empire. Blake’s followers once believed that he had sold out and laid down his arms, but this time there is a need to completely shatter his character. Through it all, Blake never drops his sneer of defiance nor does he lose his will to resist. On the way to the penal colony, the ship’s crew are forced to awaken Blake from his sleeping chamber. They have encountered an alien craft that could prove to be valuable to the Federation, but they cannot leave their own craft. Instead, Blake is expected to take control of the craft and pilot it to the colony for further analysis. Insisting that he will need assistance, Blake is paired up with the feisty pilot Jenna Stanis and the cool and calculating Kerr Avon, computer hacker. The trio manage to take control of the craft and overcome their guards. With a small band of rebels and a strange alien ship at his command, Blake decides to renew the rebellion he had started years ago. To Avon, setting course for Cygnus Alpha rather than going elsewhere seems like the most idiotic decision Blake could make, but this is the strength of such a decision to the rebel leader. He needs an army of recruits, and what better place to find them then a penal colony? On Cygnus Alpha, Villa, Gan and Soris are finding that the alien world holds many strange and perplexing threats from a planet-wide disease to a tribe of ‘converts’ living a simple primitive lifestyle under the leadership of their ruler. Villa has always been one of my favorite Blake’s 7 characters and Michael Keating played him so well for four years running that it is difficult to imagine anyone else managing. Voiced by Dean Harris, this Villa sounds decidedly older and crabbier but just as entertaining. The wit and humor of the original Blake’s 7 series is one of the most endearing of its qualities, an aspect that comes across in the dialog most prominently. This is most clearly retained in the character of Villa, a neurotic pickpocket who tries his best to stay out of sight at all times. By contrast, Gan is a noble and good-hearted giant of a man who looks after Villa as one would a troublesome younger sibling. Ben Aaronovitch’s brother Owen plays the part very well, giving just the right level of sincerity and power to his character. Gan plays the hero several times throughout ‘Rebel’ and nearly dies each time. It’s clear that the world of Blake’s 7 has no place for heroism and rewards it in each instance with a closer brush with death. Nevertheless, Gan remains almost optimistic and cheerful throughout the story even when threatened by a bloodthirsty native monster of Cygnus Alpha. Blake arrives on the penal colony just as Villa has discovered that there is no sickness and that the entire empire is run on a lie to keep the prisoners in line. Gan thinks little of this and wisely states that it hardly matters since they have nowhere to go… until Blake makes his presence known. Disrupting the kingdom, a revolt erupts that both Gan and Villa narrowly escape by joining Blake’s party. They are almost immediately in danger from the orbiting security robots, but that’s the way it is in Blake’s world. Meanwhile on Earth, Travis hastily informs Servalan, now promoting to the post of Supreme Commander, of Blake’s escape. Servalan cares little for the news and states that on Earth Blake may be a threat, but in deep space he is no one at all. Travis of course knows that she is wrong but swallows his pride and remains silent. All of this more or less follows the plot of Terry Nation’s excellent script of the pilot episode, The Way Back. It’s a tricky thing to recreate a masterpiece (I still view the first episode of Blake’s 7 as one of the all time best beginnings of a TV program), but writer Ben Aaronovitch (Doctor Who – Remembrance of the Daleks) does a good job of it. Modernizing not only the plot elements but the tone and pacing proves that Blake’s 7 has what it takes to succeed as a major TV program with relatively few alterations to the source material. Part of the changes involve the characters who are all played by new actors who are charged with finding new facets to these parts while honoring what has come before. Again, not an easy job. Whereas Gareth Thomas’ rendition of Roj Blake was a brave and determined noble fighter for justice, Ridell’s character is a little rougher and sharper. I’m not taking anything away from Thomas’ acting ability, but frankly I buy Ridell more as the leader of a terrorist strike against the government. Colin Salmon (Tomorrow Never Dies, Doctor Who – Silence in the Library) has the hardest job at recreating a role that is so closely associated with actor Paul Darrow. From the facial nuances to the purring of dialog, Avon IS Darrow and Darrow IS Avon. From his first line delivery, however, my doubts were put to rest. Salmon is a very well respected actor and has worked on both television and film in many supporting parts, but this could be his best. It’s truly tragic that we are currently restricted to only his voice, but fingers crossed the TV series may be on its way. Despite the inclusion of a new character, the former Federation Section Leader Mezin (voiced by Doctor Who’s India Fisher), American actress Carrie Dobro who voices Jenna is the most jarring addition to the cast. Once you get over the accent, however, she fits in fine. Fisher is another fine cast member and adds a nice dramatic tension against Riddell’s Blake and Salmon’s Avon. Released in 2006, there are two other audio adventures; Traitor by Marc Platt (writer of the series 26 Doctor Who adventure Ghostlight) and Liberator by James Swallow (of a scriptwriter of numerous sci-fi legacies from Doctor Who to Warhammer 40,000 to Star Trek to Stargate). In addition to the three-part launching pad of audio adventures are early years adventures centering on specific characters such as Cally, Gan, Villa, Avon and Travis with more on its way. Currently, the television project of Blake’s 7 remains in limbo, but for fans of this series, the audio adventures are a real treat. If you are a fan of British sci-fi and have never heard of Blake’s 7, this could be the perfect place to start, the beginning of a new age of the rebellion. For more information, please visit Mikescomics.com for a list of authorized U.S. retailers.